This fascinating documentary about David Lynch as a visual artist takes us on an intimate journey through the formative years of his life. Essential companion piece to the exhibition Someone is in my House at the Bonnefantenmuseum. David Lynch: The Art Life invites us in and gives us a private view of his compound and painting studio in the hills high above Hollywood, as Lynch retells personal stories from his past that unfold like scenes from his films. Strange characters come into focus, only to fade again into the past, leaving an indelible mark on Lynch, the artist. We become witnesses to the fears, misunderstandings and struggles that Lynch overcomes and along the way, meet the various people that have helped to mould him. It becomes evident early on in Lynch’s life that he views the world differently, absorbing its shadows and weaving a dream like tapestry for audiences worldwide to become tangled in. Couturier Ronald Kolk will showcase a colourful selection of 50 dresses from his extensive body of work. Goldsmith and jewellery designer Margareth Stalman will also present an impressive collection of jewellery. The historic museum’s ten characteristic galleries and period rooms represent the perfect backdrop for this exhibition. Each room has a different theme, including a red room, a treasure chamber, a Japanese room, a suspended garden of glass objects and a cocktail room. Two workshops will be created within a special room, so that visitors can experience the creative process. Video clips of fashion shows will also be played. acrobatics and sorcery. New breathtaking tricks, hilarious acts and musical delights are supplemented with ‘all time favourites’ from both repertoires where the interaction between the crazy companies throws oil on the fire! The Jan van Eyck Academie is a multidisciplinary post-academic institute in Maastricht. During the Open Studios, all doors in the Jan van Eyck Academie will be open. An international group of 46 participating artists, designers, architects and curators will show what they’ve been working on over the past year, in their studios, the exhibition spaces, Labs and other locations throughout and beyond the academy building. The works on show, the experiments, research and collaborative projects will provide insight into their work process and testify to the possibilities of the Van Eyck. Packed with adventure, romance, comedy and of course one or two rather brilliant deductions, The Sign of Four is Arthur Conan Doyle’s epic second Sherlock Holmes tale, a breathtaking yarn brought to life in this spectacular new stage adaptation. 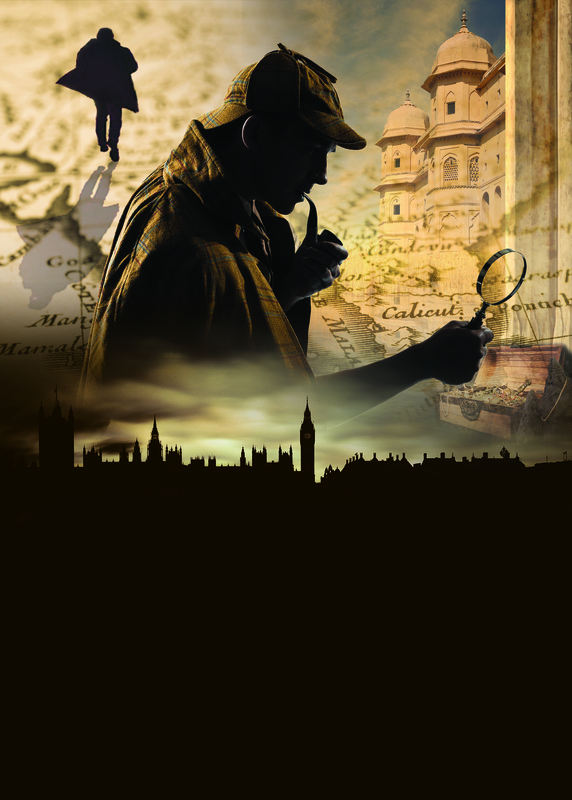 When Mary Morstan arrives at 221B, Baker Street to request help in solving the mystery of her missing father, Holmes takes the case and together with his companion Dr Watson enters a murky world of deception and trickery, unravelling a complex plot involving murder, corruption and stolen jewels. TEFAF Maastricht presents more than 7,000 years of art history - an event not to be missed by collectors and representatives of museums. 275 of the world’s leading galleries from 20 countries display works by Old Masters and antique works of art, as well as a wide range of modern and contemporary art, including jewellery and works on paper. On Saturdays and Sundays during TEFAF, there will be various Secret Music Sessions at several locations throughout Maastricht’s city centre. These special performances are a treat for stand holders, visitors to TEFAF and the city, as well as locals enjoying the streets of the city. During these weekends, among others, young talent from Conservatorium Maastricht’s Classical and Jazz department will be giving several cultural performances. This promises to be a wonderful mix of shows that will showcase Maastricht’s allure. For the theatrical exhibition The Floor is Lava, artist duo Sander Breure and Witte van Hulzen will populate Marres with sculptures and moulded portraits of people in everyday environments. Made from different materials, clay, cloth and wood, the figures have expressive faces but are otherwise sketchily composed with stick legs, half torsos and loosely hanging pieces of cloth. They are actors in search of a play as much as they are compositions of identity, that fictional moment of stasis in a world that is constantly on the move. The premise here is that people always play a role, different in every situation, with specific character traits and body language. After successfully sniffing each other last season, Ashton Brothers and the North Pole Orchestra of Reinout Douma are once again entering into a dangerous collaboration. In the flashy spectacle Concerto Esplosivo, they present an explosive mix of music, acrobatics and sorcery. New breathtaking tricks, hilarious acts and musical delights are supplemented with ‘all time favourites’ from both repertoires where the interaction between the crazy companies throws oil on the fire!